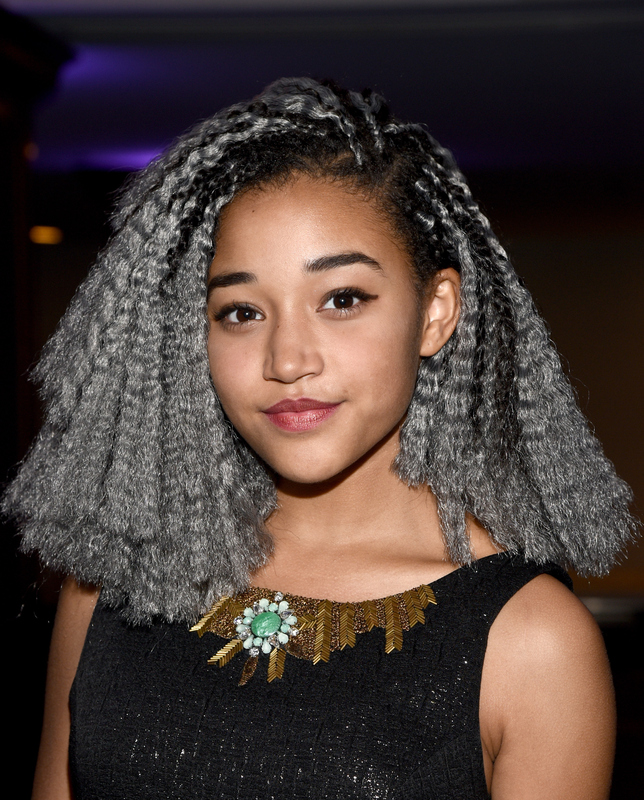 Amandla Stenberg is fighting back at cultural appropriation. On July 11, Kylie Jenner posted an Instagram photo of herself wearing cornrows, reportedly to promote her new line of wigs, with the caption "I woke up like disss." Needless to say, Jenner probably did not wake up like that, and Hunger Games star Stenberg quickly jumped in, according to screenshots taken of the comments, to call her out for what she considered shamelessly appropriating the traditionally black hairstyle. This isn't the first time Jenner co-opted a black cultural symbol and used it as an "edgy" hairstyle, however. The Kardashian-Jenners have a long history of appropriating others' cultural markers and have been repeatedly called out for their actions, but unfortunately, Jenner doesn't seem to have learned why this is hurtful, or what cultural appropriation even means. Luckily for her, Stenberg was willing to step up and give Jenner a gentle reminder that cornrows have a history beyond her Instagram feed, and that black culture isn't a costume. "When u appropriate black features and culture but fail to use ur position of power to help black Americans by directing attention towards ur wigs instead of police brutality or racism," Stenberg commented on Jenner's photo. Unfortunately, Jenner completely missed the point in her response. Back in April, Stenberg created a video for her history class called "Don't Cash Crop My Cornrows: A Crash Discourse On Black Culture." It's everything you need to know about cultural appropriation in the media. If they aren't part of your cultural heritage, step away from the cornrows, bindis, and native headdresses. Sometimes your fave is problematic, but that doesn't mean you can't have a meaningful discussion about race. We could all gain some valuable lessons from Stenberg, who, at only 16, already seems wiser and more mature than so many of her older peers.